The book was interesting, although there were various grammar and spelling usages which threw me out of the narrative. These may just result from a difference between British and American English, so I didn't deduct any mental points. 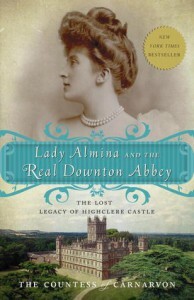 Almina, Countess Carnarvon, was certainly an interesting woman, but I did deduct a point for the marketing strategy of linking her life with a popular television show. The book could have stood on its own merits.